2,188,683 people have visited Conventional Libraries which are owned by Jakarta Provincial Government and managed by Jakarta Library and Archive Dept. (Dispusip) since January-August 2018.
" Our target for this year is to be visited by 2,025,000 people and it has been achieved"
Jakarta Dispusip's Deposits, Collection Development, Services and Preservation Division Head, Jeje Nurjaman said, conventional libraries are located in Cikini Public Library in Kuningan, Sudinpusip Offices in five Jakarta regions, Seribu Islands DPK Unit, Jakartans' Library (Permata) 1 and 2, then also HB. Jassin Library. "Libraries in Sub-dept. is divided into stationary library, mobile library (pusling), and RPTRA. While Permata is library inside a bus. We usually provide it based on resident's request since it is mobile," he informed, Thursday (9/6). He explained, in a month there are around 200 thousand conventional library visitors in average. "Our target for this year is to be visited by 2,025,000 people and it has been achieved," he mentioned. He added, most visitors are interested to visit conventional library because of its book collections and facilities. "We provides WiFi, AC room, and playground for children. 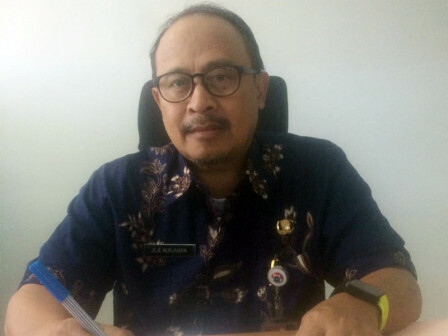 Besides, we always concern for new book collections and provide devices for visitors who want to use iJakarta application," he stated.